Testers often use partial knowledge to build test models. This knowledge comes from sources such as requirements, known faults, existing inputs, and execution traces. In Model-Driven Engineering, test inputs are models executed by model transformations. Modelers build them using partial knowledge while meticulously satisfying several well-formedness rules imposed by the modelling language. This manual process is tedious and language constraints can force users to create complex models even for representing simple knowledge. In this paper, we want to simplify the development of test models by presenting an integrated methodology and semi-automated tool that allow users to build only small partial test models directly representing their testing intent. 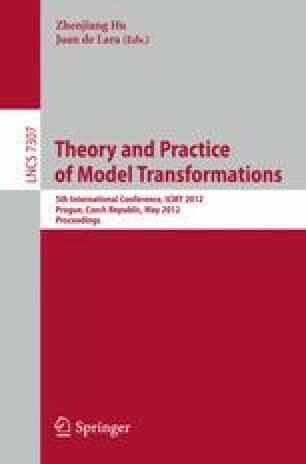 We argue that partial models are more readable and maintainable and can be automatically completed to full input models while considering language constraints. We validate this approach by evaluating the size and fault-detecting effectiveness of partial models compared to traditionally-built test models. We show that they can detect the same bugs/faults with a greatly reduced development effort.